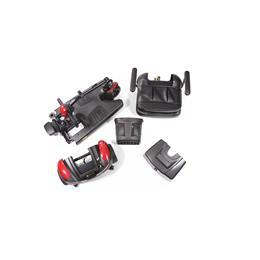 This Buzzaround LT scooter is the smallest, lightest, and most portable Buzzaround scooter, however, it has a weight capacity of 300 lbs. and increased foot room. 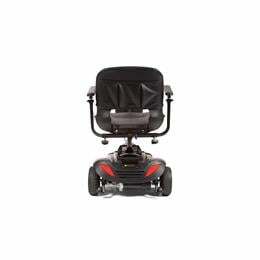 The new Buzz LT also has a charger port in the delta tiller, a new hard plastic rugged basket, updated black wheels, and a plush, padded seat. 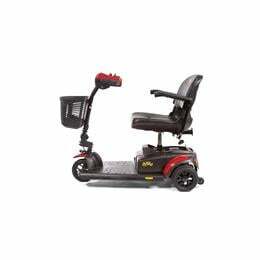 Additionally, the Buzz LT comes with a lifetime warranty on the frame, a two-year warranty on the drive train and electronics, and comes standard with a one-year warranty on the batteries. 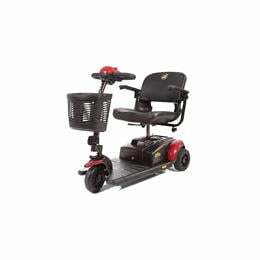 Enjoy its tight indoor maneuverability and smooth outdoor use with 3″ of ground clearance! Weight of Heaviest Part: 33 lbs. Ground to Top of Seat: 21-23 in. Ground to Top of Deck: 4.75 in. Deck to Top of Seat: 16-18 in. Height (ground to top of seat back): 33-35 in.